Celebrating a birthday at Disney World soon? There are so many fun ways to make a birthday extra special. 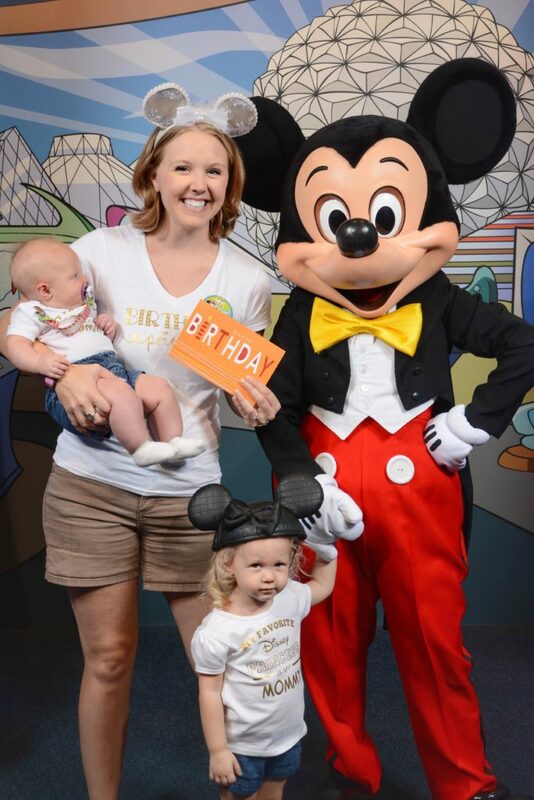 Here’s my favorite FREE ways to celebrate a Birthday at Disney World! 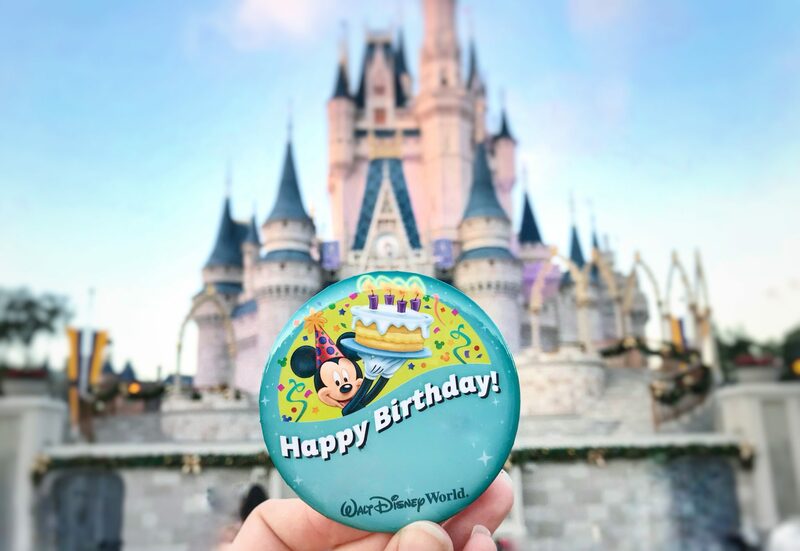 Pick up a ‘Birthday Button’ at guest services or any gift store in the park. These buttons are completely FREE and can even be customized by a cast member upon request. They have buttons for other occasions including ‘Happily Ever After, ‘First Visit’ and ‘I’m Celebrating’ as well. 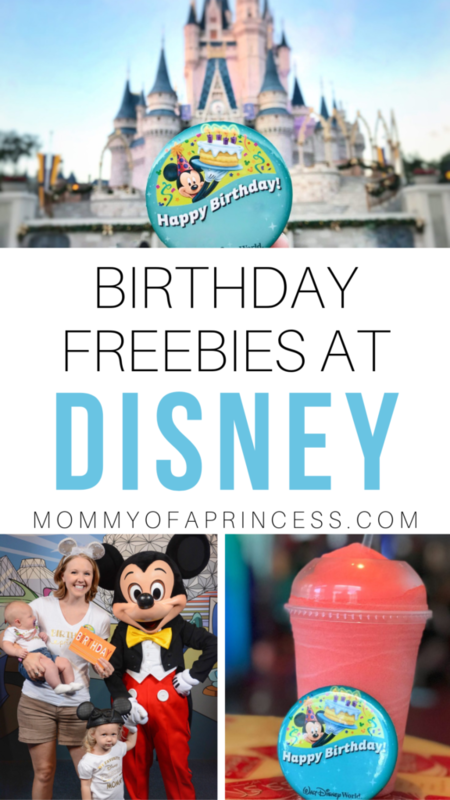 A free birthday button is a must if you plan to spend the day at Disney World. Cast Members are known to say “Happy Birthday” in passing and can sometimes give special treatment if you’re wearing a button! If you have a sit down dinner reservation (not applicable for quick dining options) tell a cast member upon being seated. Though it is not guaranteed, they typically serve the birthday boy or girl a special cupcake at the end of the meal. 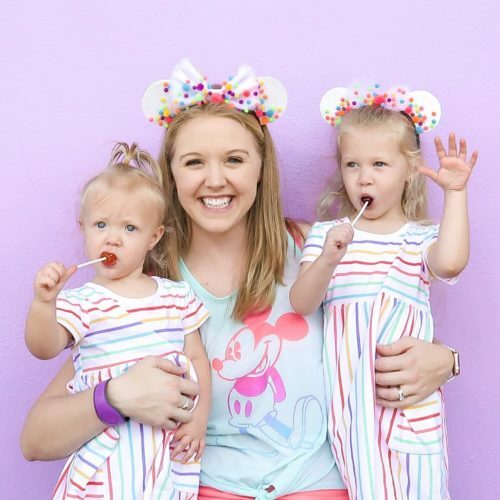 What a fun and delicious way to celebrate your Birthday at Disney World. Sometimes, on Main Street in Magic Kingdom, they have a big “Happy Birthday” photo prop. If you can’t find it there, stop by the photography studio located in the gift shop near the Bippity Boppity Boutique. If you have Memory Maker, they will take as many photos as your heart desires and scan them right to your MyDisneyExperienceApp. There is another studio located in Disney Springs too. You don’t have to schedule an appointment at the Bippity Boppity Boutique to feel like a princess. Stop by the entrance at Magic Kingdom or Disney Springs where a cast member will happily sprinkle you with pixie dust, free of charge. While there is no age limit (hey, we’re all a kid at heart), they won’t sprinkle glitter on anyone under 3 years old. This isn’t a birthday exclusive, but is extra fun for a little birthday magic! I recently discovered this fun little treat! 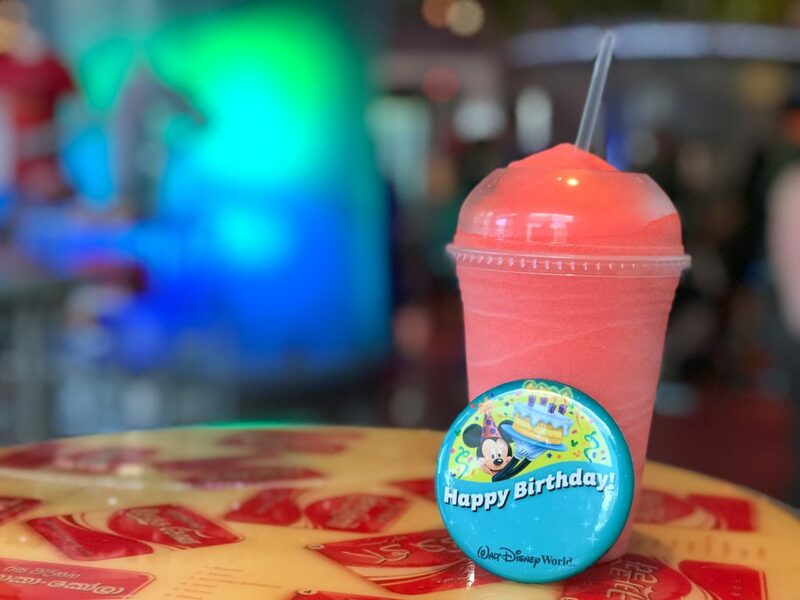 Inside the Club Cool in Epcot you can receive a free Icee on your birthday! Stop in and head to the back of the store. Tell the cast member it’s your special day and choose your flavor. Especially in the year round Florida heat, this treat is extra refreshing. I hate carrying around bulky autograph books, but I love the idea of having characters sign a birthday card! Autographs from characters are always free. Pick up a cheap card prior to your Disney World visit and have any characters you meet that day sign the card. Be sure to date it. 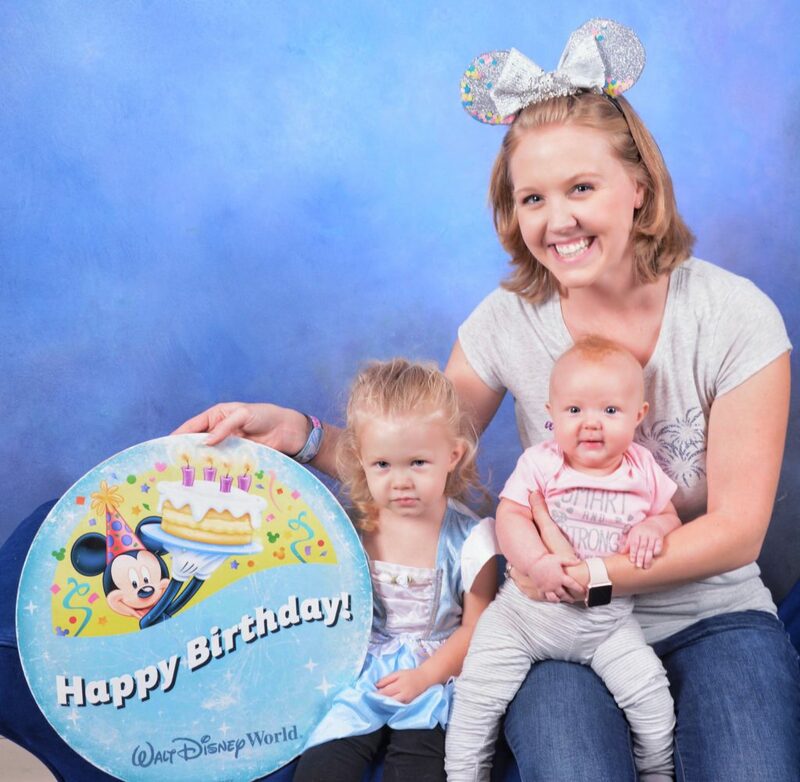 This is the perfect memento to remember how great it was to celebrate your Birthday at Disney World! Hope your Birthday at Disney World is Magical! Headed to Disneyland? 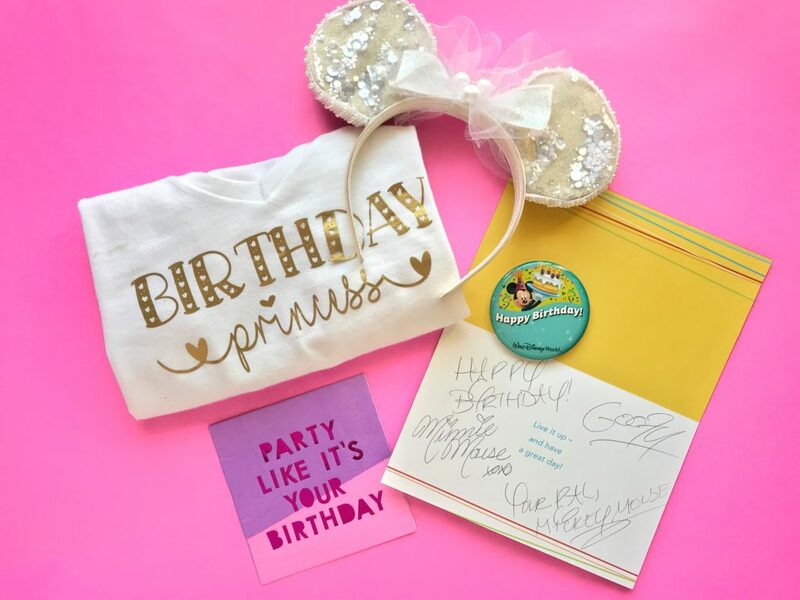 Check out this great post from my friend at Little Dove Blog on must do’s for a birthday at Disneyland California!